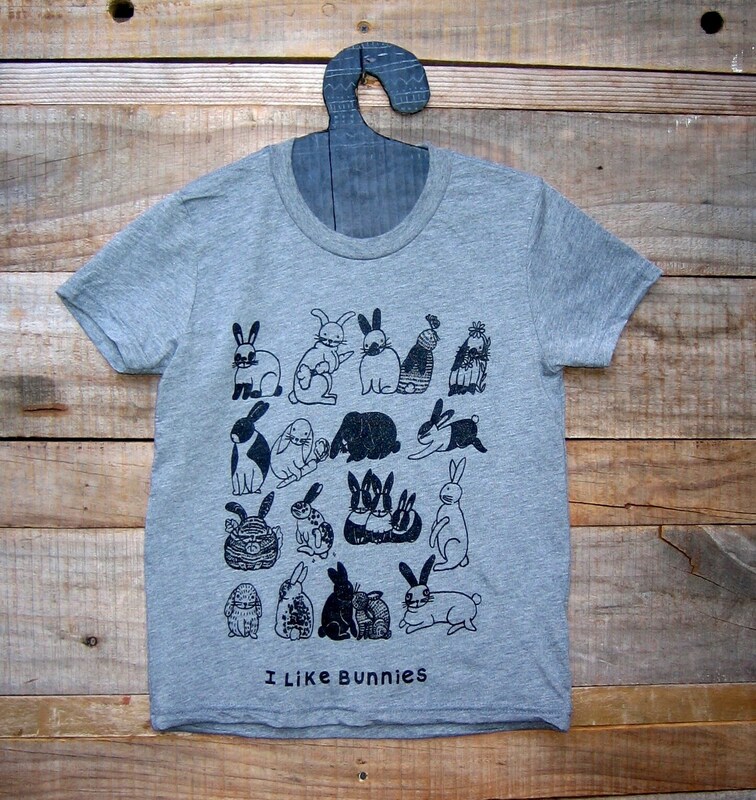 I Like Bunnies original illustration screen printed on ultra soft Tri Blend Kids T Shirt. 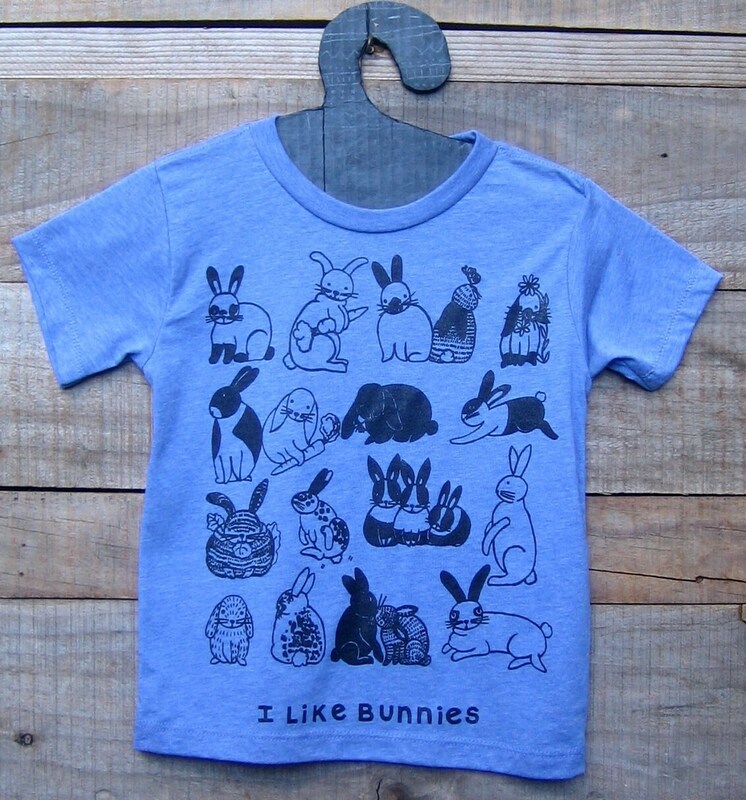 Nice for Easter as well as all year long for bunny lovers. 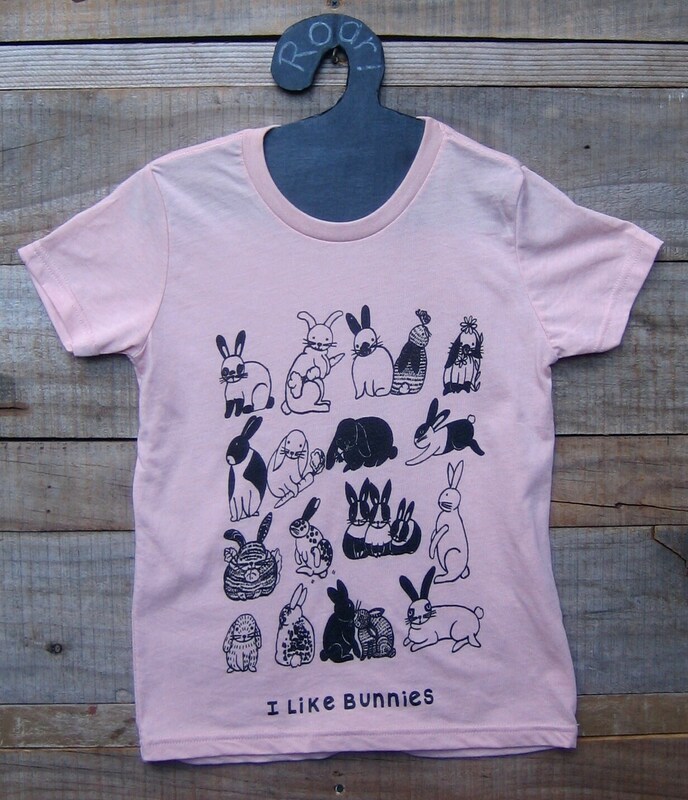 Available in Peach or Grey Tri blend (cotton, poly,rayon). 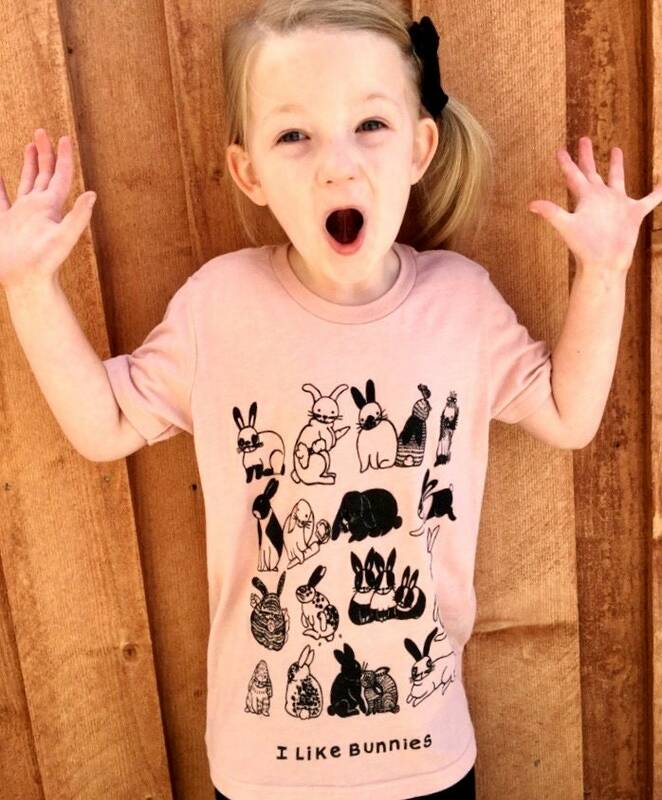 Limited sizes left.